As the trade war rages between Washington and Beijing, Waymo has confirmed that it has decided to join Tesla by opening operations in China – the world’s biggest automotive market. The autonomous vehicle division of Google’s parent Alphabet has registered a company in Shanghai called Huimo Business Consulting. As well as being a near homophone for Waymo, ‘Huimò’ is Mandarin for ‘emblem’. The name is certainly emblematic of change. According to the new company filing, potential operations for Huimo include designing and testing autonomous vehicles parts and products in China, as well as – as the name suggests – offering consultancy services. Waymo’s new subsidiary has been capitalised to the tune of half a billion dollars, and lists Waymo as an investor and CEO John Krafcik as a board member. The move would seem to be an acknowledgement that China’s drive and determination to lead the world in driverless technologies is backed by numerous advantages. One is a largely supportive population, according to recent reports. The high-80s percentage of popular support for driverless cars in China contrasts starkly with recent surveys that put US consumer confidence in the technology in the mid teens. In other words, roughly the same proportion of people support autonomous vehicles in China as don’t support them in the US. It also benefits from massive central investment from the government; a population of 1.4 billion people; and none of the cultural baggage that the US carries when it comes to driving cars and trucks – an activity that employs millions in the US, where driving is the most common job in many states. Earlier this month, China rolled out a set of national standards for testing smart autonomous vehicles on public roads, in an effort to speed up development and encourage innovation. Meanwhile, Baidu’s self-driving programme, Apollo, has attracted several international partners, including Ford and Daimler AG, parent company of Mercedes. 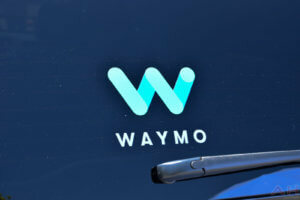 Waymo is entering a hyper-competitive local market where players such as Baidu, ride-hailing provder Didi Chuxing, Alibaba, and Tencent are vying for position – analogous to the US market dominated by Waymo/Google, Uber, Amazon, Apple, and others, including automakers such as GM and Ford. However, the move comes at a sensitive time for Alphabet/Google, as China continues to be both a vast business and partnership opportunity, and an ethical flashpoint for the technology industry. Google CEO Sundar Pichai told employees on 16 August that the company is “not close to launching a search product” in China, as he stressed Google’s determination to do more business in the world’s most populous country. His announcement came after over 1,000 employees signed a letter demanding transparency on the moral and ethical problems of launching a censored version of Google’s search engine in the country. News broke about Google’s apparent plans to do just that on 1 August, when internal documents were sent to The Intercept by a whistleblower, revealing that the company has been developing a censored version of its search engine, codenamed Dragonfly, for over a year. Dragonfly will “blacklist sensitive queries” and block websites not permitted by China’s censors, according to the report. The employees’ protest letter, obtained by The New York Times, said that the project and Google’s apparent willingness to comply with state censorship raised “urgent moral and ethical issues”. “Currently we do not have the information required to make ethically informed decisions about our work, our projects, and our employment,” it added. Another challenge for Waymo, as part of a company that majors on search and mapping, will be developing its own mapping systems within China – something that the government may not allow. Either way, Alphabet recognises that it needs to play on both sides of the globe, despite the ongoing trade dispute: the business opportunity presented by 1.4 billion people who, culturally, tend to support new technologies is seemingly too great for any company to resist. Indeed, opening operations in China makes it easy to do business with China, regardless of the state of global political discourse. The post Waymo sets up new driverless vehicle division in China appeared first on Internet of Business.